While sandblasted glass can create the desired frosted or etched effect on glass for interior design and privacy, it has the downside of being permanent and expensive as a retrofit solution. It's also proven itself to be extremely difficult to maintain since fingerprints and other stains can be virtually impossible to remove. At one time or another, we have all seen sandblasted glass in commercial environments that continues to appear dirty despite regular cleaning. 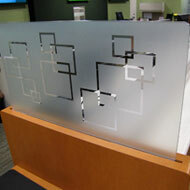 3M sandblast films emulate the look of sandblasted glass but are easier to maintain and are far less expensive. Sandblast window films have the look and feel of frosted glass and can be custom cut to almost any pattern and applied on-site at a significantly lower cost.  Also, with 3M film sandblast films, an old design or logo can be easily removed and replaced with a new one as often as you wish.